Last week I was in Augusta doing some Council work and I could sense the building excitement that surrounds the Masters golf tournament. 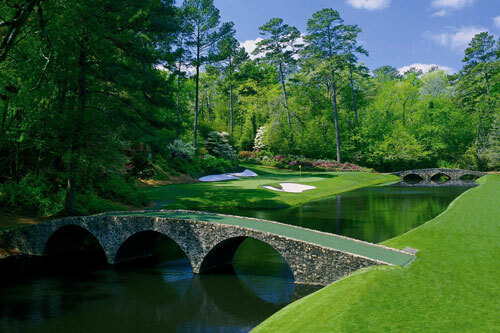 To many of us the Masters is a tournament that we follow for three or four days each April. We talk about the sandwiches, the jacket, and even a little golf, then we move on. For the residents of Augusta it is way more than that. Our Econblog Augusta correspondent Amy Hennessy files this report on what the Masters means to her. The azaleas are in full bloom at Amen Corner, the Masters’ traffic signage is in place, and the houses are clean and ready for their temporary inhabitants! Masters week is upon us! Having prepared my home for my mother-in-law and her disabled siblings who stay with us while she rents her home to the executives of CBS Sports, I know she is feeling more fortunate than most. The recession and the perception of corporate excess has extended a menacing tentacle toward Augusta. The Masters Tournament brings thousands of fans and millions of dollars into the Augusta economy each year. I am a product of such largess. Every year my mom farmed us out to friends while she rented our bedrooms to sports writers from around the country to earn some extra spending money. I worked as a gallery guard for five years because my best friend’s father was the manager of this group of mostly older men who wanted a chance to play the course for their week’s work. My oldest daughter served the likes of Tiger Woods and Jack Nicklaus as a waitress for a local caterer who did all the PGA social events. Yet as I have made my way down Washington Road recently I have known things were looking bleak. Where are the normal badge seekers? And what has happened to the hottest ticket in sports? Never fear though, we are resilient and things will look up again. After all we made it through the Martha Burk year! Thank you Amy and best of luck to all of our friends in Augusta!